We’ve already had some big surprise hits on mainstream radio this year, but there are more hot singles on the horizon that have yet to premiere. It’s always a big battle to get onto those pop playlists, but these three acts may just have the right stuff to convince programmers to add them. From big voices to big fan bases, here are some interesting new releases to look forward to as spring comes around. Ten years after she took over the pop world with songs like “Complicated” and “Sk8er Boi”, Canada’s pop punk princess has gone through a lot. After a disappointing era two years ago with Goodbye Lullaby, most known for lead single, “What The Hell”, Lavigne moved from RCA to Epic Records after two underperforming followup singles and finished work on this upcoming fifth album during the summer. She also broke up with boyfriend Brody Jenner and began a relationship with Nickelback lead singer Chad Kroeger. The two announced their engagement last August. Kroeger has also been involved in the writing and production on his girlfriend’s new effort. Something tells me we’ll be getting a breakup song or two on it. Lavigne’s first single from the album was written and produced by David Hodges, a former member of Evanescence and Martin Johnson, the lead singer for the pop band Boys Like Girls. It’s scheduled to be released to radio and iTunes on April 9. Based on the title, it doesn’t exactly sound like Lavigne has matured from the sound or image that made her famous a decade ago, but perhaps it can still work for her so far into her career. We’ll see. If not, maybe we could see her judging on a reality show competition in the future. She’s certainly been in the industry enough to mentor young performers. We haven’t heard a lot about 17-year-old Sanchez since placing second on last season of American Idol, just losing out to singer-songwriter Phillip Phillips. Of course, a tour followed the show for several months, but since it’s been over, the singer has been working on a couple of different project. She’s signed on to appear in a four episode arc of the television show Glee, though a character name has not be identified, but her appearances should be airing in April or May. She’s also been working on original music for her first full-length album, reportedly a 16-track effort, which is tentatively due out May 7. Her runner-up single, “Change Nothing”, literally changed nothing for her, so she’s gone in a more dance-driven direction and has been previewing songs like “Fairytale” and “Jump In” in promotional appearances as of recent. However, her leadoff single is a song called “Tonight”, which features Ne-Yo. A video is production, directed by Justin Francis, who has been behind recent videos for Carly Rae Jepsen and Trey Songz. Sanchez also put out a casting notice on social media for backup dancers for the shoot. Will she and her Blujays set her flying to the top of the charts? Sanchez has a strong voice, so we’ll see how she does on this non-ballad. “Tonight” goes to radio by the end of the month. Oh Brothers, where art thou? The JoBros are back together and ready to go burnin’ up the charts again with their first radio single release and full-length album (outside of a television soundtrack) in nearly four years. 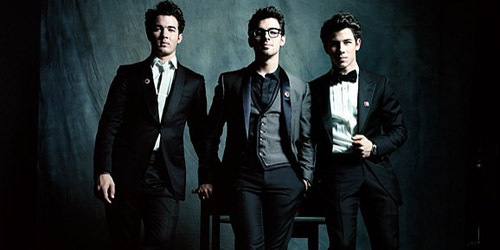 After their last album, Lines, Vines and Trying Times, produced only a minor top-40 hit in “Paranoid”, the boys pursued other options, including two seasons of a Disney Channel scripted series called JONAS (later Jonas L.A.), which ran through the fall of 2010. 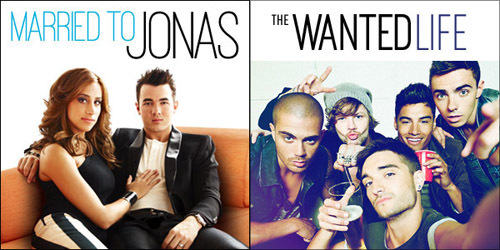 Brothers Joe and Nick both released solo efforts, the former with a band called Nick Jonas and the Administration. Though both of their albums debuted decently, they failed to achieve any sort of longevity due to little radio support. Last year, oldest brother Kevin appeared on the reality show Married To Jonas with his wife Danielle, which was renewed for a second season several months ago. After a few one-off performances, one of which was highlighted on that show, the three boys finished cutting material for an album, which will likely be out this summer. It’s the first for the trio on their self-released label after a split from Hollywood Records last year. The video for “Pom Poms” was shot a few weeks back in New Orleans, and from a leaked video still, it appears that Joe is singing a lead and there’s at least a six-piece brass section, including a few saxophones and trombones. While this one won’t end up a cheerleading classic like “Be True To Your School” or “Mickey”, it’ll be a welcome return for all those tweenagers who need a jump-start back into their Jonai obsession. Look for it in the next few weeks. Which release are you looking forward to most? Let me know in the comments or on Twitter: @AdamFSoybel.